Following the announcement of 100 planned store closures by M&S and House of Fraser announcing closures, the latest in a long line of large retailers reporting financial difficulties, new research for marketing automaton suite Pure360, has revealed that nearly three quarters (72%) of GB consumers want the government to do more to back the growth of smaller, independent retailers. The research, which commissioned YouGov to poll a representative sample of GB consumers, found that nearly half (42%) would consider shopping with an independent retailer because they prefer to support smaller operations over a larger retailer. In addition, over 1 in 5 shoppers said they like to compare price and product offerings between larger retail brands and independents, before going on to make the final purchase from the smaller retailer. The surge in support for the more unknown retailers is due in part to the customer service they offer, with nearly half (43%) of respondents claiming they would consider shopping with an independent over a larger retailer because they are treated like a valued customer rather than just a number. In a similar vein, 39% of consumers favour independents because of the personalised experience they receive, whilst the same proportion of respondents like them because they offer different products to larger retailers. Awareness of the smaller operations is growing, with almost two thirds (63%) of consumers having heard of new independent retailers in the last 12 months. For 39% of respondents, they have been introduced to these retailers by friends and family, followed by 20% discovering them through social media advertising. Despite this, just 22% of GB consumers currently opt to go to an independent retailer in the first instance to seek out an item, indicating that there is still work to be done if they are going to win over the high street giants. According to nearly half (44%) of respondents, the main area for improvement for independent retailers is offering better value for money. This is followed by enabling consumers to shop in a way that best suits them through offering online and offline (43%), making themselves more widely known through advertising and marketing (29%) and providing better delivery options (22%). 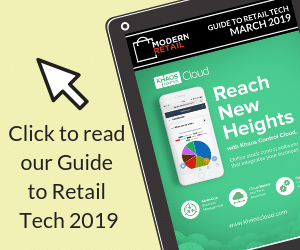 Komal Helyer, Marketing Director, Pure360 said: “We’re witnessing the emergence of a real David versus Goliath story within the retail industry, which consumers are clearly getting behind. Independents offer a niche product set, a more personalised experience and crucially, can adapt quickly to the changing needs and situations of a consumer. For many larger brands, this level of agility is insurmountable, making them look outdated and disconnected, which is leading to closures and collapse that is being reported increasingly.